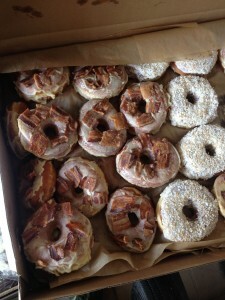 From the Driver’s Seat is a new series of posts from our team on the road. This first post is from Sarah. 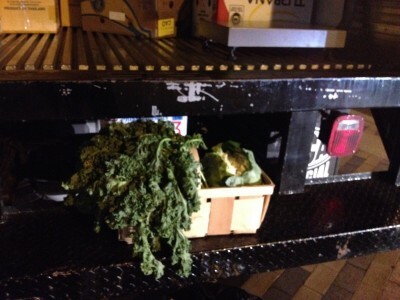 Food rescue is like a box of… PRODUCE. You never know what you’re going to get. And every day on the road is different! 10. 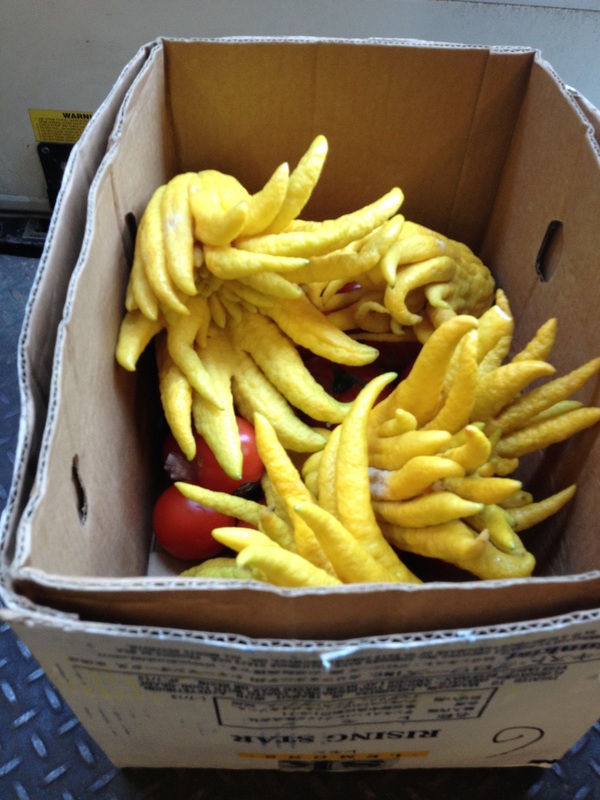 “Buddha’s Hand” this slightly intimidating citrus is native to Japan. It can be used for decoration, fragrance, and religious ritual, but is also edible and very lemon-like! You might have seen it when it has shown up in the Chopped mystery baskets! When I collected these last fall, I wasn’t sure what to make of them. But I knew that the clients at the East End House in Cambridge would know what to do with it. 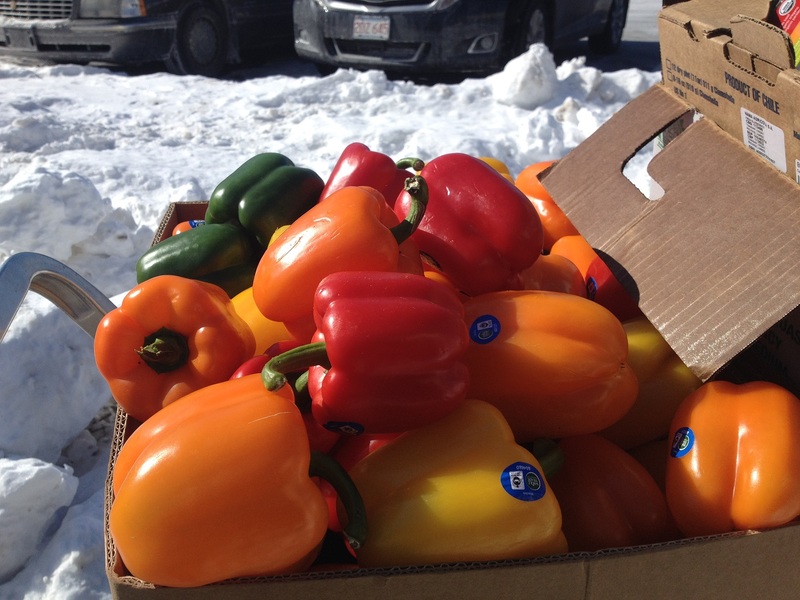 I heard back later from Elizabeth, the pantry manager, that several clients knew exactly what it was, what to do with it, and were thrilled to see it at their weekly pantry distribution. 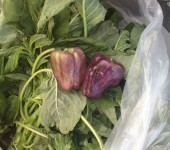 Purple peppers, these beautiful peppers with minor cosmetic imperfections were collected at day’s end at the Dewey Square Farmer’s Market. 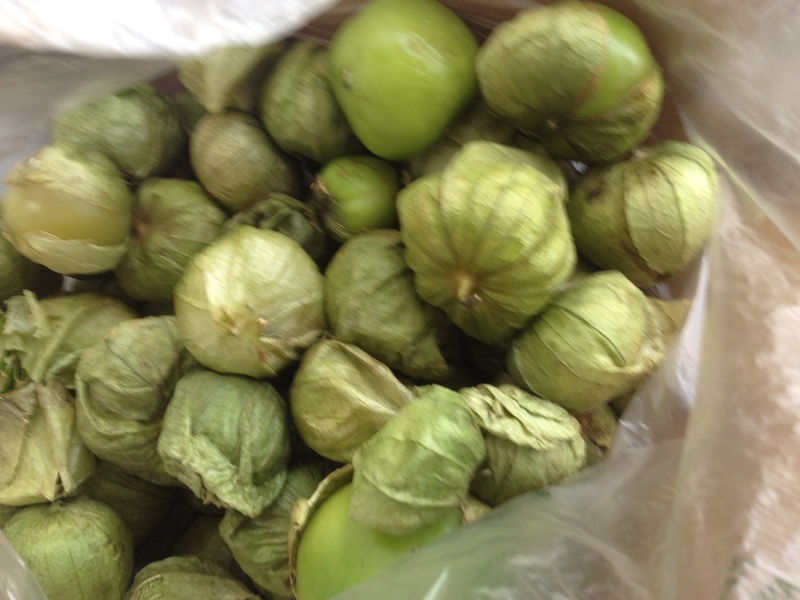 Tomatillos: not technically a “pepper”, but they ARE part of the nightshade family (like peppers, tomatoes, and potatoes). 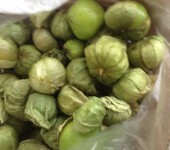 They are a key ingredient in Mexican cuisine (used for green sauces), and the papery husk that surrounds them is edible! Sure, you could say we’re a different kind of forager. It’s sometimes surprising to see vegetables swimming together in a box haphazardly, instead of neatly encased in shrink wrapped containers. YEAH RIGHT! Actually, pretty much all fruits and vegetables are stored this way, from the time they leave the earth until they reach the store. Although many recipes call for very particular varieties of whole foods, substitutions of same type foods can put a creative spin on old favorites. 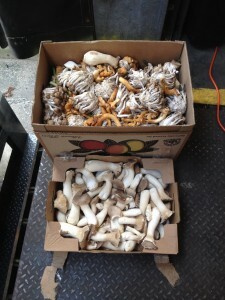 These aren’t your typical button mushrooms or shiitakes, but I bet they would taste great in a pasta sauce or salad all the same! We do NOT recommend these for sauces. 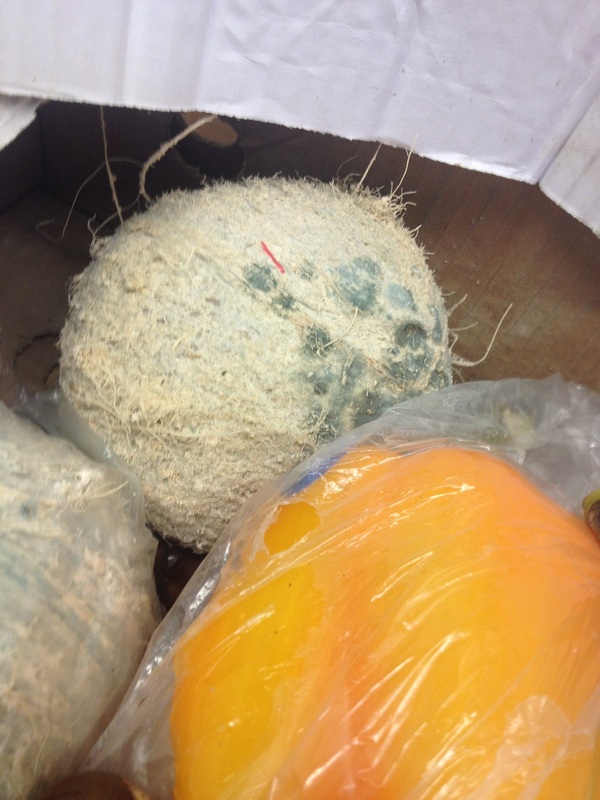 I know some of you think what’s considered excess is rotten, moldy food. But actually, this is a rare sight on the road. Our system encourages and trains produce managers to plan a step ahead, AVOIDING food turning too quickly. We rescue according to a daily, consistent schedule and work with store departments to ensure that all usable food gets culled, rescued and up-cycled. Rescue arrived just a little too late to save this coconut from compost. Kale and other leafy greens are usually deemed unsaleable when they’ve lost a little bit of of their firm crunch. This kale might not be the right texture for a salad, but it would still be a delicious and nutritious addition to any hot dish. Like mushrooms, kale and other leafy greens are easy to substitute for one another in basic, whole food recipes. 5. 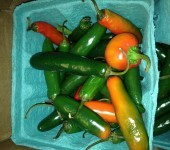 Produce grown in Immokalee, FL. Immokalee, an unincorporated area near Tampa, Florida, is a major agricultural center for US produce. 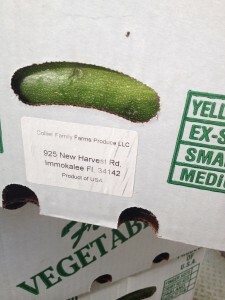 Immokalee is famous for the Coalition of Immokalee Workers (CIW) …”a worker-based human rights organization internationally recognized for its achievements in the fields of social responsibility, human trafficking, and gender-based violence at work.” These cucumbers came to us through one of our distribution center partners, and were possibly grown and harvested by pickers involved with the Clinton-Initiative recognized organization. Read more about Immokalee here. The food that we eat passes through so many hands, and so many of us, from pickers to rescuers, are doing the work to create direct access. 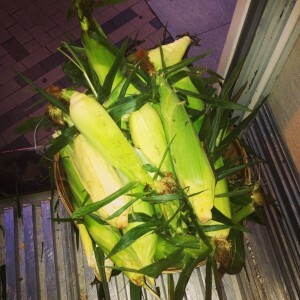 This corn (rescued after the Farmer’s Market at Dewey Square, Summer ‘14) was grown so close to home, it probably never left New England in all of its travels, from field to market to our truck. We could bend your ear all day long about New England corn… so sweet and delicious! Yup, we so corny. 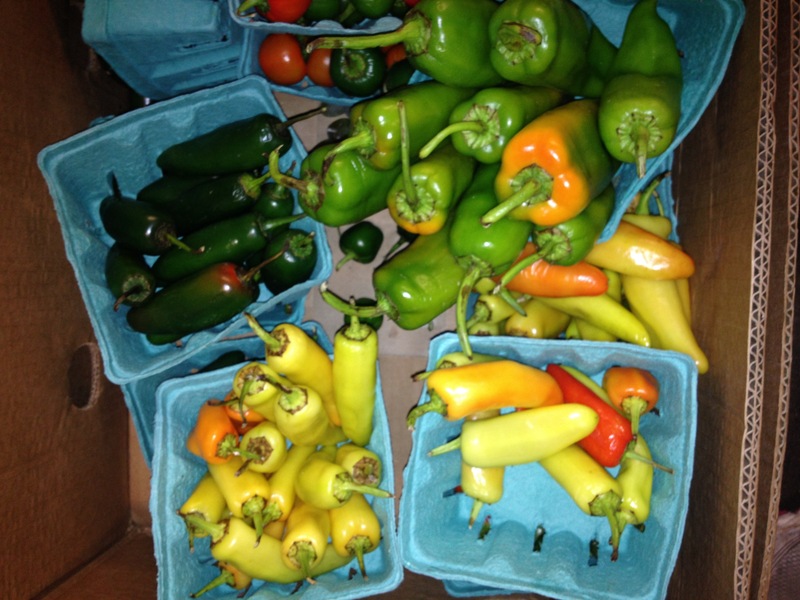 While our focus is on whole ingredients like produce, we sometimes rescue prepared foods and desserts, too! These treats from our partners at artisan bakers Union Square Donuts were picked up and distributed, without ANY of our drivers sneaking one…because, donuts and bacon. Tomatoes like this are highly seasonal, and widely revered for their taste and unique appearance. Because of the growing patterns and so many different varieties available, we rescue literally tons of tomatoes during the season. 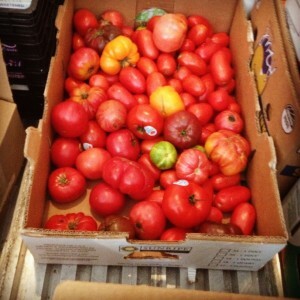 “Heirloom” alludes to their status as breed cultivars , but does not suggest that these tomatoes are any less specifically bred for consumption and sale. Regardless of the mysterious evolutionary history about these tomatoes, as long as they are edible, there will be creative cooks who know how to prepare them, and endless options for different preparations. Even the squishiest, most bruised fruits find their way into juicy sauces, soups and stews. Is it summer yet? 1. 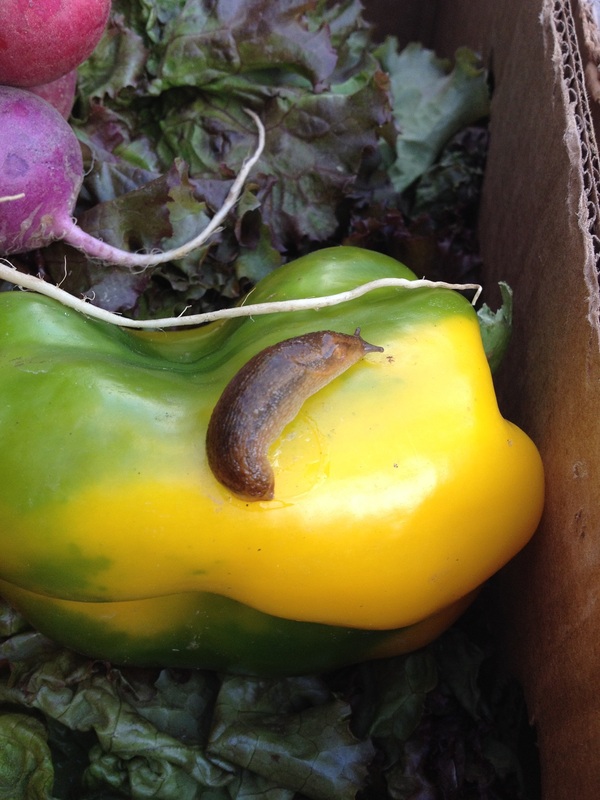 Produce so farm fresh it still has slugs on it! Food doesn’t necessarily need to be nearing the end of its shelf life to get slated for the compost bin. 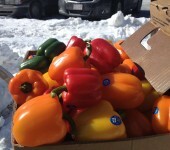 These peppers were offered for rescue because there were more than could be sold. Judging by their appearance and the company they keep, these vegetables were in the ground a few hours before this photo was taken.